The proponents of social selling are right about the benefits of social selling and wrong about their criticism of all the other methods of prospecting. They are also wrong about what’s changed in sales. The critics of social selling are right about the far greater benefits of what I will call “traditional selling,” and wrong about some of their criticism of social selling. The key to prospecting well is, was, and likely always will be an integrated approach. The thought leaders in social selling (and inbound marketing) suggest that cold calling is dead, that selling is only serving (providing information), and that the way buyers buy has changed so radically that you can no longer make any kind of ask without alienating your prospective client. Their criticism of traditional selling is both wrong, and it is self-serving. 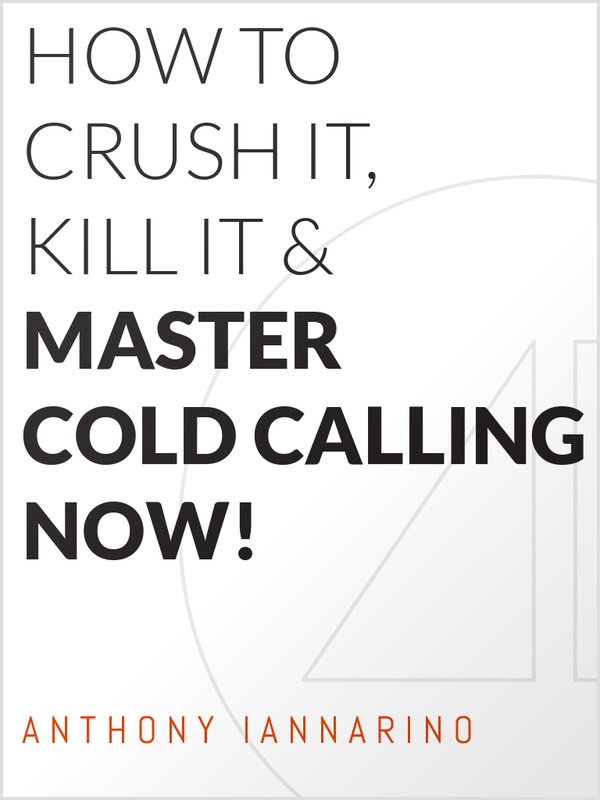 Cold calling still works (as do all of the other methods of prospecting, like asking for referrals, for example). Providing the right information at the right time has always been helpful to buyers and a good strategy for salespeople. But if that is all of the value you bring, you are already being disintermediated by Google and YouTube. But the social selling proponent’s worst and most harmful critique is that making any kind of an ask is too aggressive, too salesy, and will damage your relationship. Nothing could be further from the truth. Selling is conversations and commitments. This criticism is self-serving. It’s easy to sell struggling salespeople the hope that they can acquire the prospects they need without picking up the phone. And it’s easy to sell them your solution if they believe that cold calling doesn’t work. More still, a lot of salespeople (especially young salespeople) would love to believe they can create and win new opportunities without interrupting anyone and without asking them for the commitments they really need. For these reasons, I have been a vocal critic of social “selling.” These arguments aren’t necessary for there to be value in using the social tools, and they do too much harm to salespeople and sales organizations. As the proponents of social selling have grown more hyperbolic, some of us have responded in kind exaggerating to draw the same kind of attention, to make our case, and to help salespeople and sales organization who are being hurt by following their advice. Some of the criticism of social selling is that it doesn’t work, that it is really just salespeople wasting time online, and that it doesn’t have a place in a struggling sales organization. The way that social selling thought leaders talk about selling, you can understand the criticism. Social selling thought leaders talk about connecting as if an accepted connection request on LinkedIn is as valuable as a booked appointment. That being said, I have personally opened an appointment that resulted in a $1,000,000 client by asking for a meeting using InMail, after exhausting all other prospecting methods. There is value in developing a personal brand and establishing yourself as someone who can create value (even though this activity doesn’t align with the word selling and is an above the funnel activity). Salespeople do waste time. And not just on social media. They waste a lot of time cold calling. Not because cold calling is a waste of time, but mostly because they haven’t been well-trained or provided with good scripts (or planned dialogues, if you are sensitive to the word scripts). For the social tools to provide value, the sales force needs to be provided with direction and tools (which marketing should provide, since social tools are mostly useful for establishing your brand and the value you create). Struggling sales organizations and struggling salespeople lack awareness. It is tough to grow a business without attention and awareness. Used properly, the social tools can create that awareness, and they can allow you to nurture relationships over time. Nurturing is a critical above the funnel activity, and access to the stakeholders you need is important. One of the greatest values the social tools has brought salespeople is the ability to research their dream clients. You can find the people you need. You can research your prospects and learn more about them more easily than any time in history. We can argue about how much research is necessary before you pick up the phone and ask for an appointment, but once that appointment is scheduled, there is no question that the pre-call research should be done. The right answer when it comes to prospecting is an approach that integrates the best methodologies for what you sell, how you sell, what your buyers buy, where they are, and how you best engage with them. This is most likely some combination of new tools for research, connecting, and nurturing relationship combined with the old tools and methods for getting face-to-face appointments. Are you using the social tools in the most effective way, combining them with traditional approaches? How much time are you spending using traditional prospecting methods? Have you developed the tools to make nurturing your dream clients easy and effective?